The Society of Research Administrators (SRA) International recently named Sandra D. Garcia, assistant vice president for Academic Affairs in the Office of Research and Sponsored Programs at UHD, as president-elect of its Southern Section. Garcia, who oversees all research, compliance and pre- and post-award administrative functions for the University, has more than 16 years of experience in research administration in higher education. She has served as an active member of SRA International for 11 years and as a certified research administrator since 2006. She earned the leadership certificate from the prominent research administration organization and currently is completing a compliance certificate, as well. "I was tremendously honored to be named president-elect of such a leading research management organization composed of the brightest minds in the field," said Garcia. "I look forward to working with other professionals in SRA International's Southern Section to increase membership, participation and education in the research arena." Prior to joining UHD, she served as executive director of Research and Sponsored Programs at Texas A&M University-Kingsville, where she facilitated more than $100 million in external funding. She also worked in a similar capacity at Texas A&M-Corpus Christi for 11 years, where she received the Employee Excellence Award and assisted faculty and staff in submitting an average of 175 proposals annually. 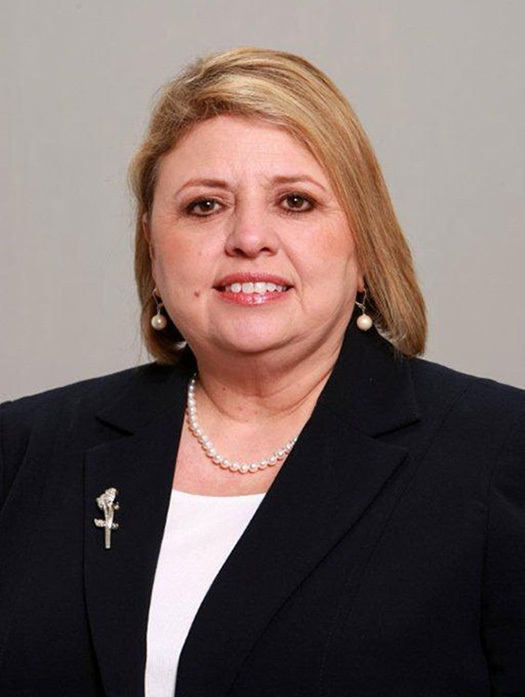 Garcia served as an at-large member of her hometown city council and as a representative on the Corpus Christi Hispanic Chamber of Commerce. She was named Business Woman of the Year by the Corpus Christi Hispanic Chamber of Commerce. SRA International is composed of more than 4,000 members who work in research administration at universities, hospitals, nonprofits and in the federal government. The organization's mission is to globally foster and strengthen research management, administration and knowledge transfer.